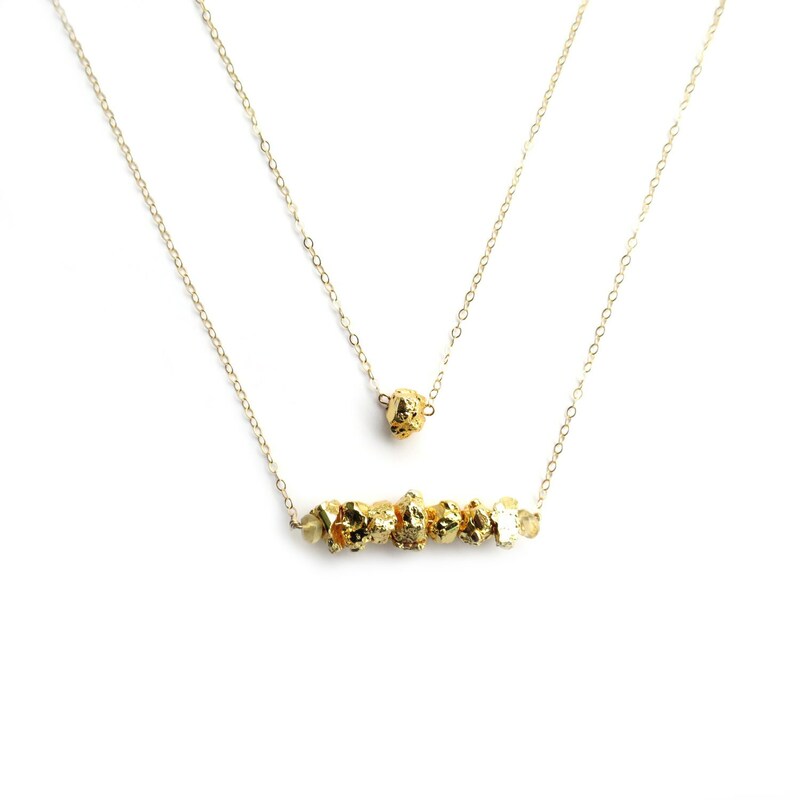 This fool's gold layer necklace features a pyrite bar below a little pyrite nugget. 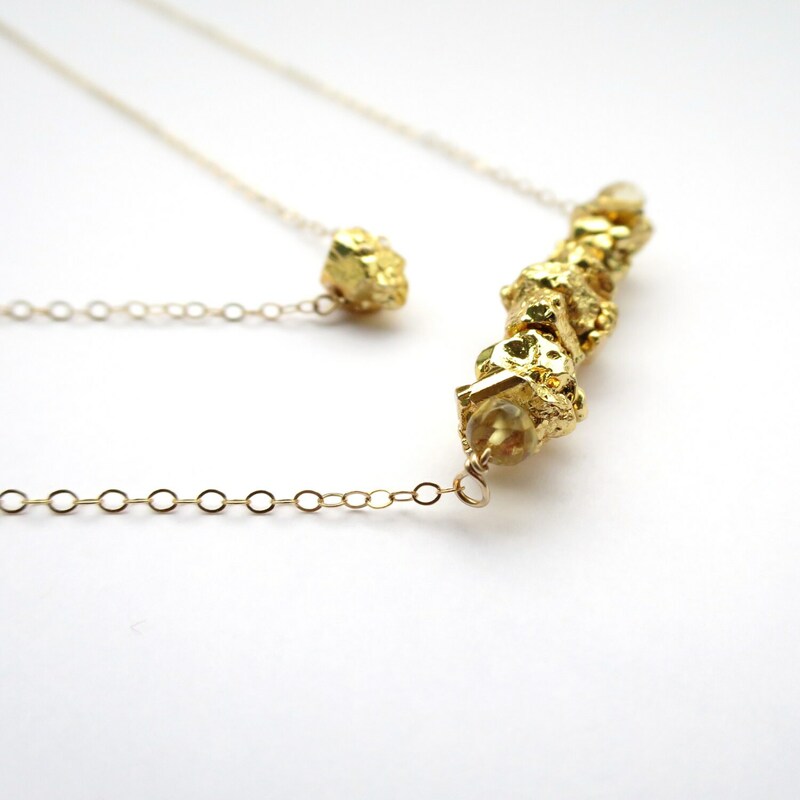 Perfectly raw and polished! - Varying lengths (select at checkout). 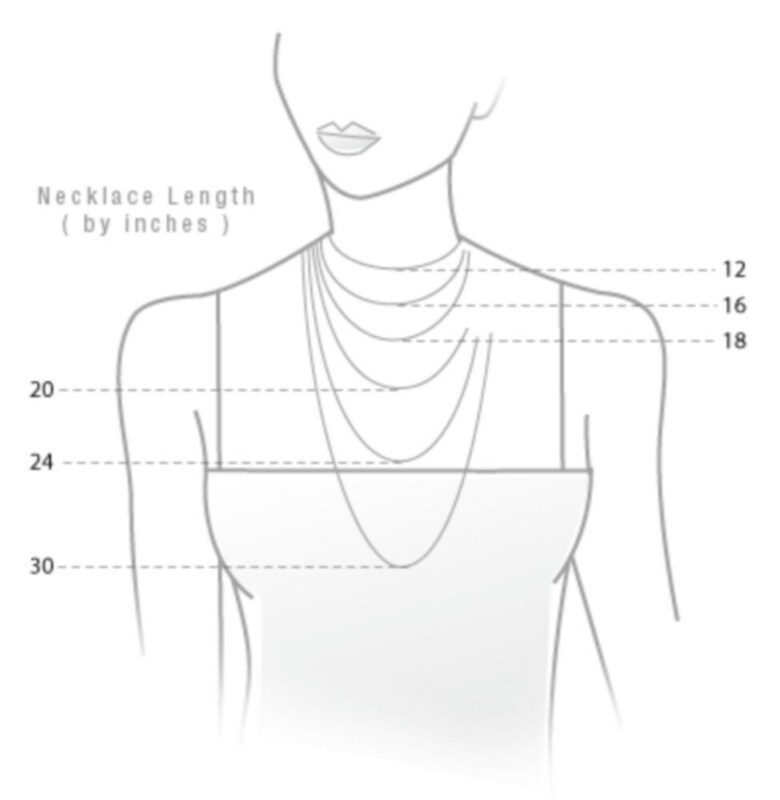 Length refers to the shortest necklace; the following necklace will be staggered by 2". 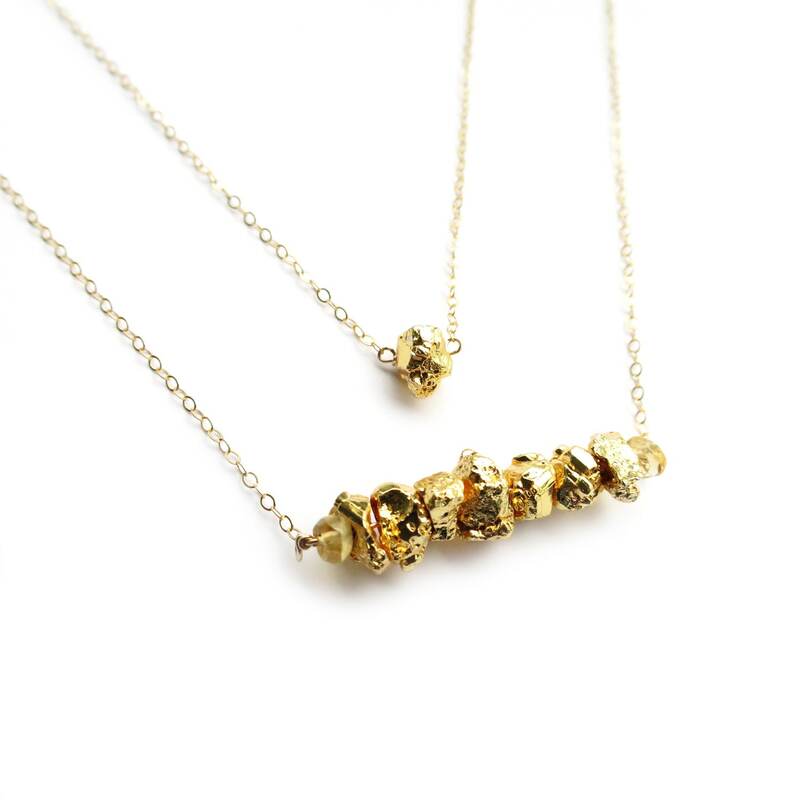 This necklace comes mailed in a pretty organza gift bag or box for easy gift giving. 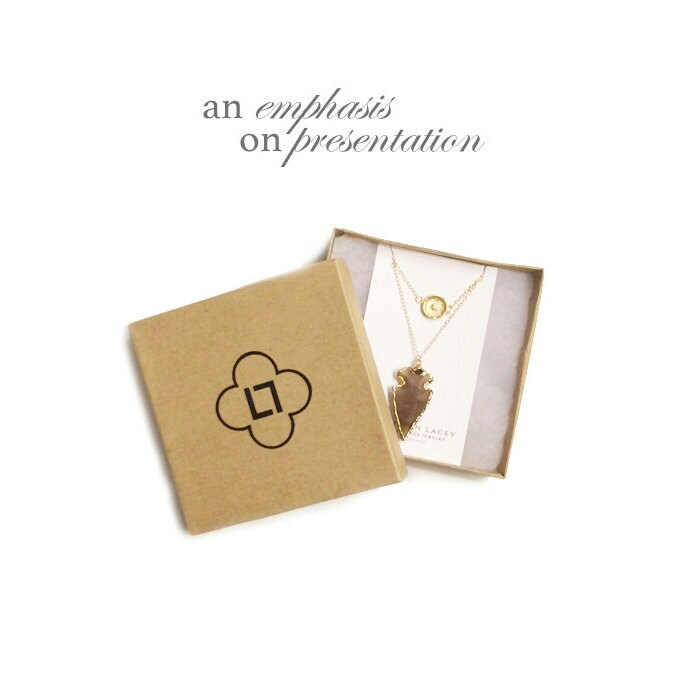 Please let me know if you would like a little note included! Gorgeous! It looks natural but also geometric. So cute!